It would be difficult to come up with a stranger production of “Hamlet” than its original performance — on an East India Company ship off the coast of Sierra Leone in 1607 — although the Actors Ensemble of Berkeley certainly tried. 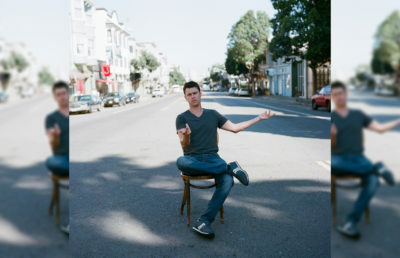 In a series of July performances at John Hinkel Park, the longest-running theater organization in Berkeley has set out to embody the fragmentation and uncertainty of its titular character by splitting him into pieces, dividing him among 10 cast members to form a mostly successful and sometimes silly cacophonic chorus of indecision, instability and bloodlust. Identified by their monochrome black outfits, Hamlets populate the bare-bones stage. They speak to, interrupt and even physically interact with one another, interjecting into both Hamlet’s private thoughts and moments of dialogue with other characters. The effect is that of a sometimes disorienting but mostly wondrous chorus of voices reassuring, second-guessing and contradicting one another — physically embodying Hamlet’s complex and confusing character. 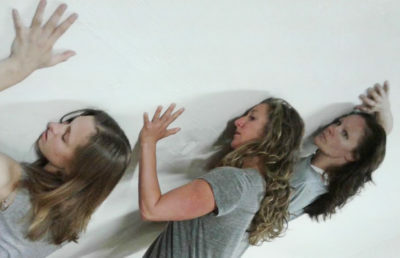 Splitting Hamlet into fragments is an inspired dramatic decision. Breaking theater’s most iconic sad boy into his component parts offers the audience critical insights into his character. Hamlet isn’t just “mad” in the old sense of the word: He’s furious, grief-stricken, aroused, unhinged, Oedipal and — most of all — melodramatic. The play’s shining moment — Hamlet’s all-too-famous “to be or not to be” speech — made full use of this theatrical and psychic fissure. Performed by six Hamlets in all, the monologue was given flesh and weight by the many bodies and voices joining together to fight, contradict and agree with one another. This is “Hamlet” as Shakespeare might have liked to have seen him: brooding, vaguely suicidal, philosophical, bitter and unsure — all at the same time. The literal fragmentation of Hamlet is not the only artistic or interpretative decision that director Stanley Spenger chose to make. The production’s entire cast played double, triple, quadruple (and in one case, nonuple!) roles. Kate McGrath played both Hamlet and Ophelia; Evan Winet took up the strange challenge of embodying not only both Claudius and the ghost of old Hamlet, but also the young, brooding titular prince. Like the splitting-up of the prince, the multiple roles each actor played seemed to comment and act upon each other. It felt significant that the same actor embodied both Hamlet and Ophelia — as though each character contained a bit of the other’s personality or mannerisms. If the performance had been executed on a grand scale — with a real stage, dramatic lighting and professional actors — it would have been spectacular. This project has lofty ambitions, but the production, small and local, couldn’t stand up to them. The most comical moment of all wasn’t even part of “Hamlet,” but the intermission — once the play’s first half ended, the actor playing Ophelia left the stage and immediately walked toward the food stand for a hot dog. It was a silly, humanizing moment in a play otherwise preoccupied with gravity and the tense themes of murder and mental illness. 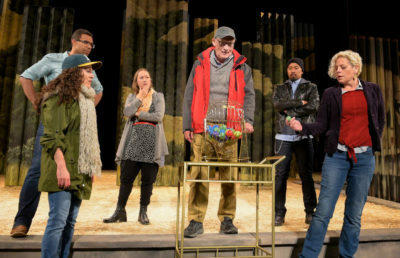 Despite (or perhaps because of) the setbacks to be expected of a community theater production of “Hamlet,” the ensemble produced a play that is strangely joyful in its performance of sorrow. Watching the Berkeley Actors Ensemble’s production of “Hamlet” is like studying a stained-glass window: You have to appreciate both the whole and its component parts — however rough or unfinished — to enjoy it. 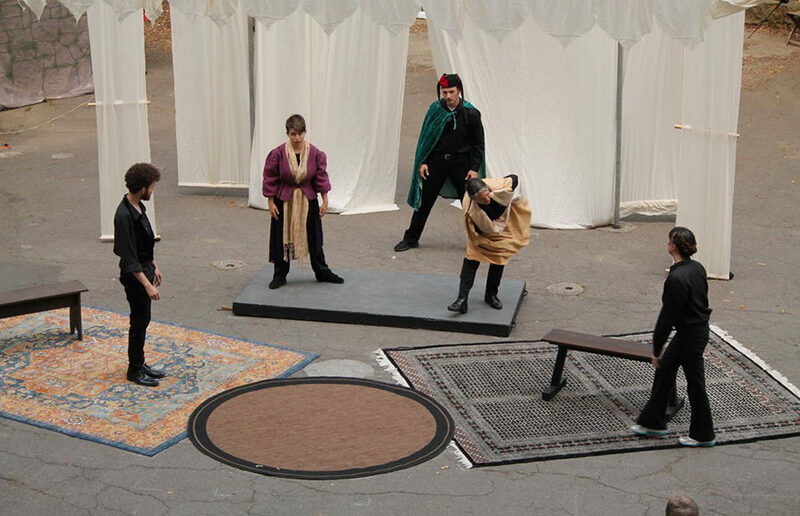 “Hamlet” runs through July 22 at John Hinkel Park in Berkeley.